We've been busy in the workshop creating our one-of-a-kind Elf hat! This festive holiday cap looks adorable on both newborn boys and girls. 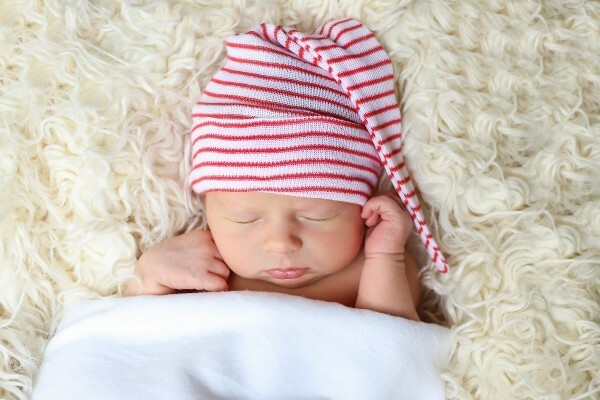 Celebrate the holidays in your facility's nursery or birth place with these affordable baby hats. Proud parents will be excited to capture baby's first photograph in this festive elf cap. Embroidered Stocking with "My First Christmas" or "Happy Holidays"